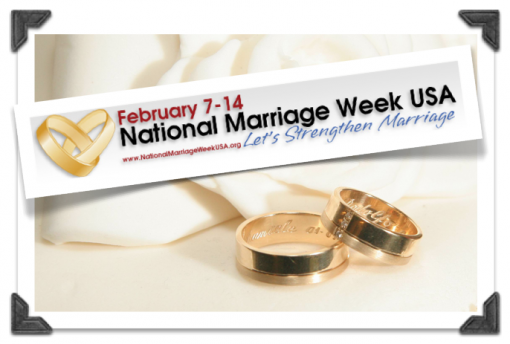 It’s National Marriage Week, and what a great time to talk about the benefits of long-lasting love. This past week we heard the following song from My Fair Lady, sung by Diana Krall. The title is, I’ve Grown Accustomed To His Face, and celebrates the familiarity that comes between us as the years pass. There are things you love about your spouse. It’s most likely something you were drawn to about them in the first place. Is it the way they look at you, kiss you, hold your hand or whisper in your ear? Is it the way they treat you in public with honor and respect? Maybe you love how you can depend on them in difficult situations? Whatever it is you love most about your spouse, listen to the following song thinking about this one thing. Afterwards, take time to express your love to your spouse in a meaningful way. May we never grow accustomed to leaving unsaid the things which matter most. This entry was posted in Christian Marriage, Growing Strong Marriages, Music, Romance in Marriage, romancing your husband, romancing your spouse, romancing your wife, Thankfulness and tagged Diana Krall, I've Grown Accustomed to Her Face, Poetry, Romance. Bookmark the permalink. Happy Anniversary!! What a blessing to share your special day with a week where marriages are celebrated everywhere. Great post. We must never assume in marriage. Satan uses any crack in the armor he can. Covering our spouse in loving words – even “obvious” ones, offers incredible protection. Thanks for the reminder!